Caltech scientists awarded 2017 Nobel Prize in physics – Physics says what? The 2017 Nobel Prize in Physics has been awarded to three key players in the development and ultimate success of the Laser Interferometer Gravitational-wave Observatory (LIGO). One half of the prize was awarded jointly to Caltech’s Barry C. Barish, the Ronald and Maxine Linde Professor of Physics, Emeritus and Kip S. Thorne (BS ’62), the Richard P. Feynman Professor of Theoretical Physics, Emeritus; and the other half was awarded to MIT’s Rainer Weiss, professor of physics, emeritus. Here’s the YouTube video of Caltech’s Press Conference. LIGO is profiled in this 2017 BBC movie “The Amazing World of Gravity,” which I viewed on Amazon Prime. Jim Al-Khalili visits a LIGO facility in the latter part of the movie, as well as talks with Kip Thorne. 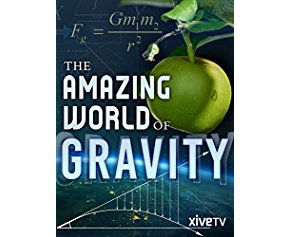 From the award-winning British team that brought you Everything and Nothing and The Secret Life of Chaos comes a unique television event on the physics of gravity. This film features unexpected historical insights, cutting-edge science and exciting new experiments. From Einstein’s Relativity to quantum mechanics, host Jim Al-Khalili explores one of the most extraordinary phenomena in our universe. Runtime: 1 hour, 26 minutes. “Just as electromagnetic astronomy has thrived for four centuries, bringing us ever more amazing insights into the universe, so [too] we can expect the same of gravitational astronomy over the coming four centuries,” Thorne said during a news conference at Caltech on Tuesday. Gravitational waves are generated by the acceleration of very massive objects. These space-time ripples travel at the speed of light, but they don’t get scattered or absorbed the way light does. Space.com: I think you’ll also be considered a representative for large experiments — how to run them, how to fund them, how to keep them funded. What lessons have you taken from this whole experience about managing big science projects? Barish: I think there’s some really good ones. One is … international collaboration. LIGO has collaborators from all over the world, including Russia, [a country that] our government won’t talk to almost. [Those researchers] are an integral part of LIGO. And we work side by side without even thinking, “You’re from these different countries.” We get resources from the governments that are put together. Why can’t that same model be translated more to how countries behave? Space.com: But do those simulations compare with what you can imagine? How important is your visual imagination to what you do? Thorne: Those simulations are much better than my visual imagination. We now understand from the simulations that when you have two spinning black holes collide, each one has attached to it a vortex of twisting space. When these holes collide, you have four vortices sticking out of the [newly formed] black hole. It doesn’t want to have four vortices, the vortices fight with each other and all hell can break loose. And insights into [this behavior] came from the simulations. But once you’ve seen it in the simulations, then your imagination can go forward. Because we were seeing things we’d never imagined before in the simulations, that became the starting point of subsequent imaginations. Caltech Magazine also has an article “Caltech Scientists Awarded 2017 Nobel Prize in Physics” on the prize. When those experiments [with large aluminum cylinders, or bars] proved unsuccessful, the focus of the field began shifting to a different type of detector called a gravitational-wave interferometer, invented independently by Weiss at MIT and, in rudimentary form, by several others. In this instrument, gravitational waves stretch and squeeze space by an infinitesimal amount while widely separated mirrors hanging by wires “ride” the oscillations, moving apart and together ever so slightly. This mirror motion is measured with laser light using a technique called interferometry. In 1972, Thorne, with his student Bill Press (MS ’71, PhD ’73), published the first of many articles that would appear over the next three decades, summarizing what was known about the gravitational-wave sources and formulating a vision for gravitational-wave astronomy. Caltech Magazine’s article “How to: Clean LIGO” includes a video and photo gallery showing how LIGO mirrors are cleaned. The video also may be viewed on Caltech’s YouTube channel.